Kim Henares, Leila de Lima – Chief Justice until year 2030? The Philippines may soon have a chief justice who will stay on the job until year 2030. This possibility was raised last week by Senator Francis Escudero, chair of the Senate justice committee. Escudero, a member of the Judicial and Bar Council (JBC), was referring to Bureau of Internal Revenue commissioner Kim Henares and justice secretary Leila De Lima. The two appointees of President Benigno Aquino III are considered strong contenders for the post vacated by impeached chief magistrate Renato Corona. De Lima is 52 while Henares is 51, and with the retirement age set at 70, both of them can stay on the job for at least 18 years if appointed. This time period covers four presidents, if the current six-year term for chief executives remains unchanged and if all of them finish their respective tenures (whoever they are). De Lima and Henares are also widely perceived as Aquino “toadies” (in the words of Inquirer columnist Amando Doronila). Both De Lima and Henares testified during Corona’s impeachment trial. While De Lima’s testimony was ultimately dismissed as hearsay, Henares’ statements proved to be very damning against Corona. She revealed that Corona did not file income tax returns from 2002 to 2010. The BIR chief also said that the declared income of the Corona couple did not match records of their asset acquisitions. 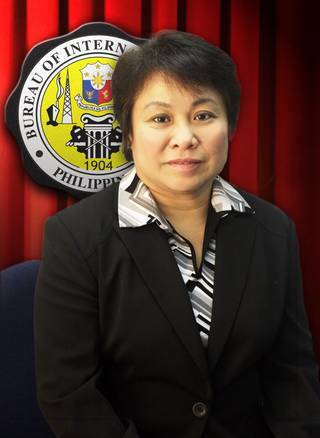 Henares has said that she still hasn’t decided whether to accept the nomination as chief justice or not. Nevertheless, she unabashedly claimed having “an advantage over all the other people (likely nominees)” because of her work in BIR and in the National Labor Relations Commission. Aquino III seems to agree with Henares’ assertions; with Palace spokesperson Edwin Lacierda saying that president “had expressed preference” toward her nomination. Escudero pointed out that while having a young chief justice would mean “stability and predictability of decisions of the court that will last a long time,” he added that it is also important to “have a new perspective every once in a while” and “to not tie the hands of the next President and be bound by the choice of (President Aquino).” Among the charges raised against Corona is that the SC has reversed itself on long list of cases under his watch. The constitution does not set any age requirement for nominees to the Supreme Court. 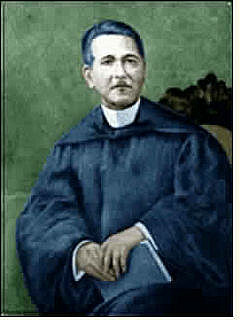 Cayetano Arellano, the Philippines’ first chief justice, holds the record for having the longest tenure, from 1901 to 1920. No chief justice for more than seven years since 1961. Artemio Panganiban, for one, was chief magistrate for less than a year (2005 to 2006). The United States is no stranger to having long-serving Supreme Court Chief Justices. When then-President George W. Bush tapped appellate judge John G. Roberts as chief justice in 2005, the latter is only 50 years old (making him the third youngest American top judge in history). And since there is no such thing as a mandatory retirement for members of the US High Court, Roberts can stay on the job for 20 more years. On the other hand, his predecessor William Rehnquist held the post for 19 years, from 1986 until he died of thyroid cancer in 2005. He served as associate justice for 14 years before that. Will the Philippines soon have a chief justice with an extraordinarily long tenure? It is up to the JBC, and ultimately, President Aquino.